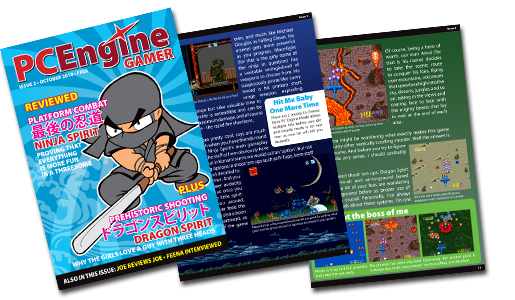 With that out of the way, the publication I (foolishly and sadly) overlooked until today is the second issue of PC Engine Gamer magazine. Anyway, I highly recommend checking it out (here) if you're a fan of the PC Engine or TurboGrafx-16. I don't know why, but that "Translation Fun" section cracked me up!